In January, my boyfriend and I are off to Rome for a few days. After all of this recent deadline stress at Uni, I can't wait to just get away and relax. We'll be in Rome during the first week of January and we managed to get some really affordable flights and accommodation. We're flying from London Stansted to Rome CIA with Ryanair. The flight out isn't too early, which means we don't have to get up at crazy o'clock on the day we fly. We paid £130.36 for two return flights. We've booked an Airbnb studio apartment for the 3 nights that we're there. I've stayed in an Airbnb with my family before, but this was my first time booking an Airbnb myself. My sister recommended me to Airbnb through their invite friends tool and as a result, we got some money off the booking! The accommodation is near the Vatican and we're paying £113 total. I think we'll book tickets to the Coliseum, Vatican and a few other attractions in advance just so that we don't have to queue for a long time when we're actually there. As soon as I get home for Christmas, I'll be doing lots of research for what we can do in Rome. I have been to the city before, but quite a few years ago. It was very busy with it being Easter Weekend, so I'm looking forward to strolling the city streets during a much quieter season. I can't wait to see the Spanish Steps and Trevi Fountain again. Have you got any Winter trips planned? Ohhhh the jealousy right now! 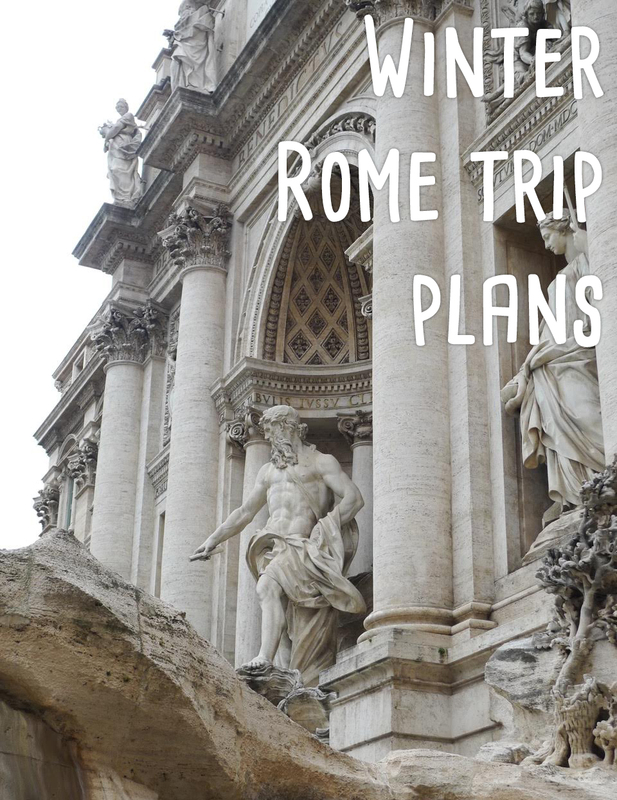 I've been forever going on and on to James how I'd love to take him to Rome (I've been a few years ago with my mum) and would love to take him and explore - I'm so excited for you both! Have lots of fun and planning is such a big part of the fun! Can't wait to see what else you have planned and al the pictures!